We often hear that selves are no longer formed through producing material things at work, but by consuming them in leisure, leading to 'meaningless' modern lives. This important book reveals the cultural shift to be more complex, demonstrating how people in postindustrial societies strive to form meaningful and moral selves through both the consumption and production of material culture in leisure. Focusing on the material culture of food, the book explores these theoretical questions through an ethnography of those individuals for whom food is central to their self: 'foodies'. It examines what foodies do, and why they do it, through an in-depth study of their lived experiences. 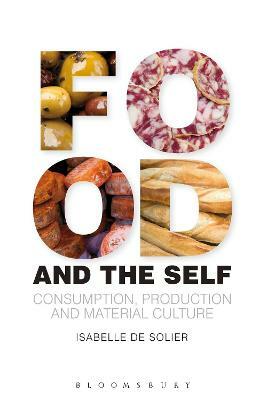 The book uncovers how food offers a means of shaping the self not as a consumer but as an amateur who engages in both the production and consumption of material culture and adopts a professional approach which reveals the new moralities of productive leisure in self-formation. The chapters examine a variety of practices, from fine dining and shopping to cooking and blogging, and include rare data on how people use media such as cookbooks, food television, and digital food media in their everyday life. Buy Food and the Self by Isabelle de Solier from Australia's Online Independent Bookstore, Boomerang Books. Isabelle de Solier is a Postdoctoral Research Fellow at Victoria University, Australia. She has published on food in the European Journal of Cultural Studies, Continuum, and the edited collection Exposing Lifestyle Television, and is the editor of Food Cultures, a special issue of Cultural Studies Review.